Overall sales don't seem to be trending up from last year, but with supply so low due to fewer foreclosures and the lack of equity for traditional sellers, we remain in a sellers market. The caveat here is that inventory has been slowly rising for 4 straight months bringing us closer to a balanced market to that of a seller's market. This means it is a great time to consider selling your home either right now or in the springtime. Make sure you get the facts from a REALTOR® and avoid using a zestimate to get your home's price information. It's only good if you are comfortable with a price that is +/- 30% of what it is actually worth! I'm following the slowing pace of foreclosures with great interest for exactly the reason you cite -- fewer available foreclosures means buyers will look to regular listings to find their properties. Glad to see that sellers are enjoying a little respite from the tough past few years! Anyone that has been following the Alpharetta real estate market understands how fantastic this news is! 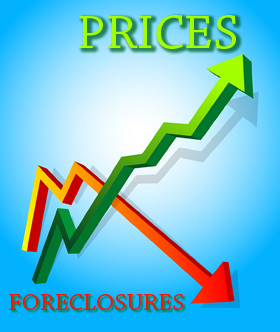 It is great news for sellers who are expectant that home prices will be rising again. Thanks for the share, Ryan!